Gold fell almost 1% in Asia and held near unchanged in London, but it then climbed steadily higher for most of trade in New York and ended near its last minute high of $1177.33 with a gain of 2.78%. Silver slipped to $15.06 in Asia, but it then climbed to as high as $15.79 in New York and ended with a gain of 1.88%. 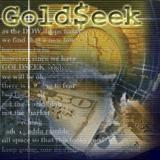 Euro gold rose to about 944, platinum gained $20 to $1213, and copper climbed 3 cents to about $3.04. Gold and silver equities rose throughout most of trade and ended with about 7.5% gains. This post was published at GoldSeek on 7 November 2014.